In honor of college football season starting tomorrow, this week's Flashback photo will feature a college football photo. I am so excited for football season to start and to watch Gamecock's first game tomorrow night! 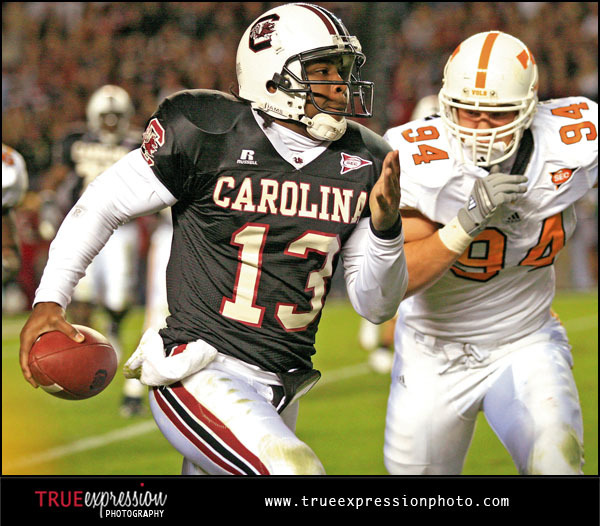 I took this photo during my senior year at University of South Carolina when I was photographing for The Gamecock. I loved photographing football games from sidelines- it was hard work but always a lot of fun!